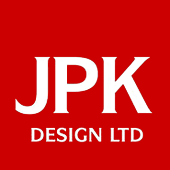 JPK Design Ltd is a leading Staffordshire Company for the provision of Architectural Building Plans for all Extensions, Loft / Garage Conversions, Disability Adaptations, Changes of use and New Homes. JPK Design was founded to simplify the process of obtaining statutory approvals from the local authorities. We charge a fixed rate fee for each project as opposed to hourly rates or a percentage of the works. This ensures that from day one you are aware of the costs involved to carry out the work. JPK Design Ltd provides a complete service from concept to design and realisation throughout Staffordshire, Shropshire and Cheshire. This includes the preparation and submission of applications and liaising with associated authorities and professionals to ensure the process runs smoothly. We strive to maintain a good relationship with officials at Stoke on Trent, Newcastle under Lyme, Stafford Borough, South Staffs, East Staffs, Cheshire East, Shropshire District, and Staffordshire Moorlands councils to name but a few and have an unrivalled success rate for applications. Quality professional drawings and good design ideas will increase the value of your home and save you money on building costs. Let us share our experience and design ideas with you to help give your project the ‘WOW’ factor!